Mont Tremblant is stunningly beautiful and if you thought it was just for skiers and snowboarders, well you’d be wrong. Tremblant is for families of all ages and you can easily find things to do there every season. This post is all about the various exciting Mont Tremblant activities you can do, often together as a family, and sometimes separately due to age restrictions. I left a little piece of myself in Tremblant. Actually I think we all might have left something of ourselves there. After learning to ski (something I never thought I would do in my 40s) and then spending a couple of days recently getting acquainted with this gorgeous destination in the upper Laurentians of Quebec, we are eagerly plotting how to return as a family next year. I am secretly jazzed just thinking of being able to tackle one of the 96 runs again. Because now that I have spent an extra week of practicing here at our local ski hill I feel like I could do some of the Tremblant runs so much better than I did before. I only managed one of the big runs while there this March. And believe me, at that time, for someone who had never ever been on skis before, one run was a huge accomplishment. In early March we took a quick media trip to Tremblant. We knew there were a few Mont Tremblant activities planned for us when we arrived. But after a quick walking tour, a great meal at Gypsy, and a look at what the activity centre had to offer we realized we had underestimated the type and variety of activities Tremblant offers for every member of the family. In fact there must be fifty or more ways to do Tremblant, Quebec. We sampled a few of the great Mont Tremblant activities and are sharing our experiences here, but there are so many great things to do and it is such a beautiful energizing and friendly atmosphere that you will want to go back as soon as you have the chance. 4. Tubing. So much fun! I love tubing so I will return because we didn’t have time to do that in our speedy weekend getaway. 5. Skating. There is a lovely skating rink with skates for rent right outside Ermitage du Lac. Go, skate, have fun! Perfect for young families. 6. Dining – so many amazing restaurants in the village. You could literally dine somewhere different for lunch and dinner every day all week long. 7. Book a trip to go dog sledding like we did. See the activity centre for more information and to book. It was fabulous (post coming this week) and about a 45 minute shuttle ride to the location. Actually there are several different versions of this dog sledding trip depending on distance and time you want to spend. 8. Ride the cabriolet. It is quick and safe and a great little chance to get the bird’s eye view of the village. 9. Go shopping in the dozens of spectacular shops in the village. 10. Shoot some beautiful pictures. There are many spots to pick from but if you go up to the top of the mountain you can capture some gorgeous scenery and skiing shots too. 14. Night time zip-lining (this is restricted to ages 14 and up so we didn’t do it. I know my kids would love to try this when they are a bit older.) By the way Tremblant is perfect for teens. There is such a sense of safety here too that you could easily all go your separate ways exploring independently and then meet up for meals. 17. Visit AquaSource to go swimming with the kids. 19. Visit the candy shop. 21. Casino. Yes there’s a casino nearby. 24. Mountain adventures – drive your own team of dogs along the side of the mountain. 30 aerial games – this might be your thing but I will probably never try it. There are treetop zip lines, nets and suspension bridges throughout the trees. Also this can be done at night. 32. Kid’s club for the youngest members of the family who might not yet be able to ski or snowboard. 33. Tam Tam trail – this is a unique new kid’s trail on the ski hill that you will want to do together. Beautiful carvings and it’s very unique. It is off La Passe on one of the beginner green trails. 37. Create your own pottery indoors at Le Studio Creatif. 42. Tarzan rope at Aquasource. 44. Snowshoe fondue tour. Snowshoeing followed by a fondue dinner because you worked up an appetite. 49. Attend one of the numerous events from demo days to Christmas or New Year’s eve shows. 50. Caribou Cup – ending ski season majestically with an event where you try to ski across water. WHEW!! And that’s really a modest list because there are 96 runs so you could do 96 different ski runs and each time your trip down would be different depending on who you are with, the type of snow and how you ski. I am honestly very much a new fan of this sport and intend to return to Tremblant as soon as it is feasible here. The flight with Porter made it such an easy trip. You can also read my post about learning to ski as a family at Mont Tremblant. Oh and there are also apparently Scandinavian Baths nearby!! We were guests of Mont Tremblant and Tremblant tourism. I was not compensated for this post but enjoyed a wonderful weekend with my family experiencing as many activities as we were able to handle before collapsing exhausted each evening in our beautiful spacious Ermitage Du Lac suite. My opinion is my own. I highly enjoyed this adventure. Oh my goodness – talk about a fun place to be! There are so many great things to do here. Thanks for sharing this great list. I would go back in the summer. I actually grabbed a real estate book before we left because we really were smitten. I could see the kids thriving there too if we could swing a second property. Or maybe we will just go back to ski yearly. Wow! There are so many things to do at Tremblant! I used to go there as a child. Now that I’m in BC, it’s a little far to go. I’d love to go tubbing with my kids and watch the fireworks. Sounds like a great time! Wow, wow and wow! 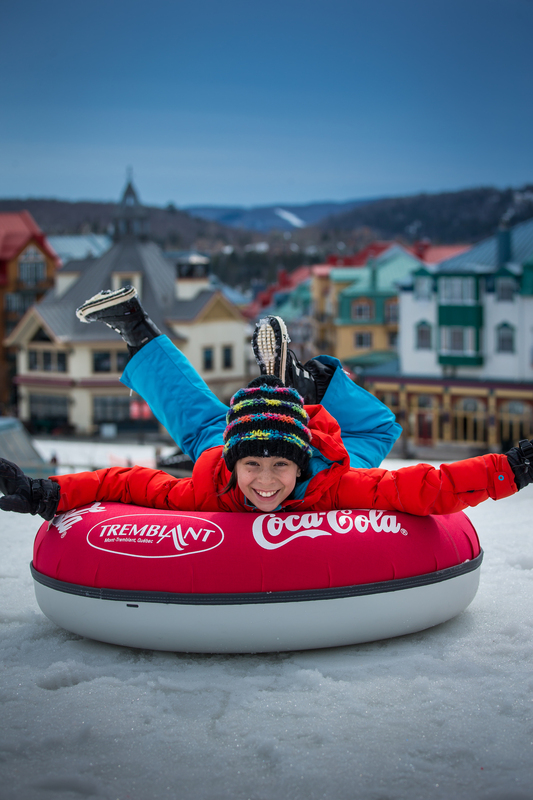 There’s an amazing variety of activites to do at Tremblant! I wouldn’t have known. Thanks for sharing your great time with us. Gorgeous pics! Wow! That is an incredible list! I love the “skiing of course”. So many things I would LOVE to try….the aerial climbs, dog sledding, dune buggies (! )…I could go on! Your post is a great resource when headed to Tremblant! Thanks Sandy! I hope so. We hope to return some day soon.